Google Apps Backup tool permits users to download all the items available in G Suite account in your machine. This includes contacts, calendars, emails, and documents. The entire data from Google apps account will be backup in multiple file formats. Moreover, all the meta properties such as To, Bcc, From, Cc, email address, calendar recurrences, house address, meeting alerts, remains undamaged. 1. Archive Single User Account: This option is helpful, if you want to backup a single user account data. Provide the user name along with the password of that user account. After this, you can easily export the data to your PC/laptop/hard drive. 2. 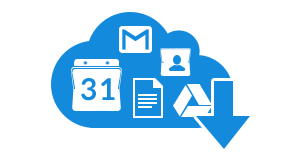 Archive Domain User: This option is useful, if you want to backup more than one user account of one domain. Here, in this case as well you need to put the credentials to perform the process. 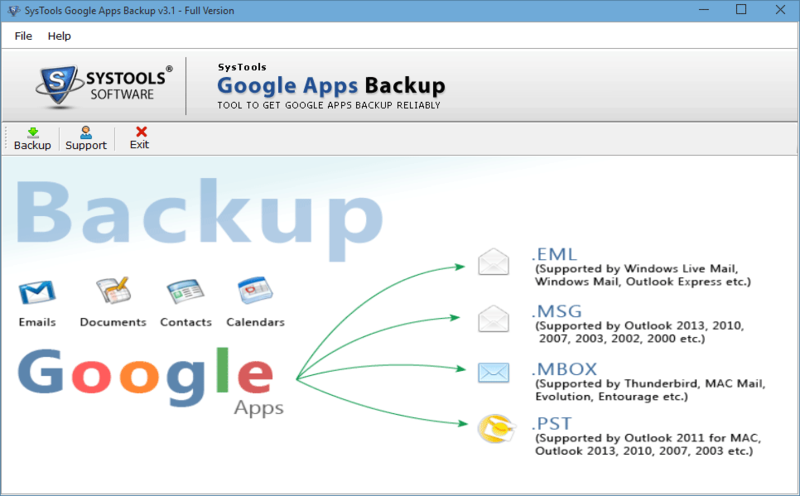 The Google Apps Backup Software provides you option to archive even last edited documents easily like spreadsheet, presentation (ppt), documents, etc. into Microsoft Office compatible format. The tool also ensures to maintain original formatting in the resultant backup file. The software also provides option to set a date range and the software will include only those data with lies in the provides date range. To use this feature you need to provide specific date range with format From to To. This feature is enabled only for saving resultant file. The software makes the process of archiving mailbox very easy. Internet connectivity should be good to execute this process. However, the Internet connectivity get interrupted in between then the process can be pause with “Pause” option. Later, the archiving process can be started from the same point where it has been stopped. In addition, the folder structure is kept intact throughout the whole process. Google Apps Archive Utility has also an option to filter out the emails data from Google Apps at the time of archive or export. Users can specify the data in comma-separated value for example, Inbox, Sent Items, etc. As soon as the process will be completed, the tool displays a completion report. This includes the status along with fields such as User Name, calendar count, document count, etc. The report can be used for future proposes. Apart from all the other interesting and useful features of this application, this is also a helpful option. In case, users Cloud storage limit has been attained then it can be emptied once the backup is taken. For this, they can use “delete after download” option. Users just need to check this feature and the software will delete the data form Cloud once the backup is done. However, this option is available for email backup only. 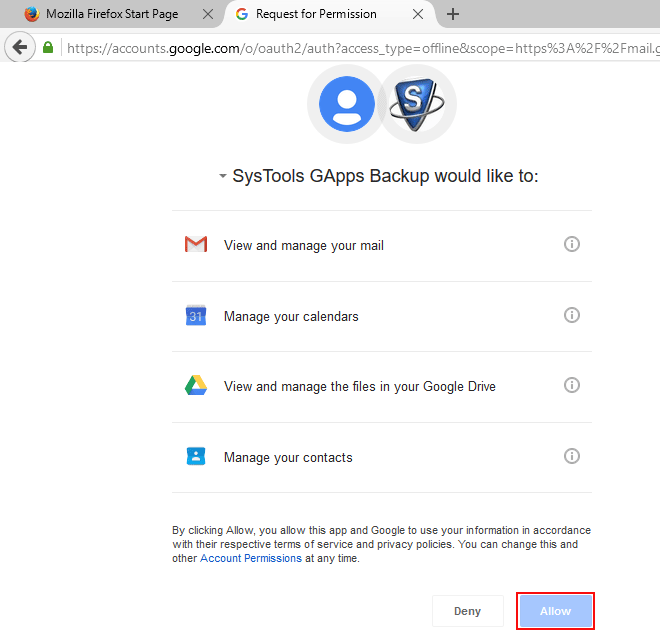 Is it mandatory to put the credentials to execute backup process with G Suite Backup tool? Yes, the software requires the log in details for the security proposes. The tool does not save the password of your account. 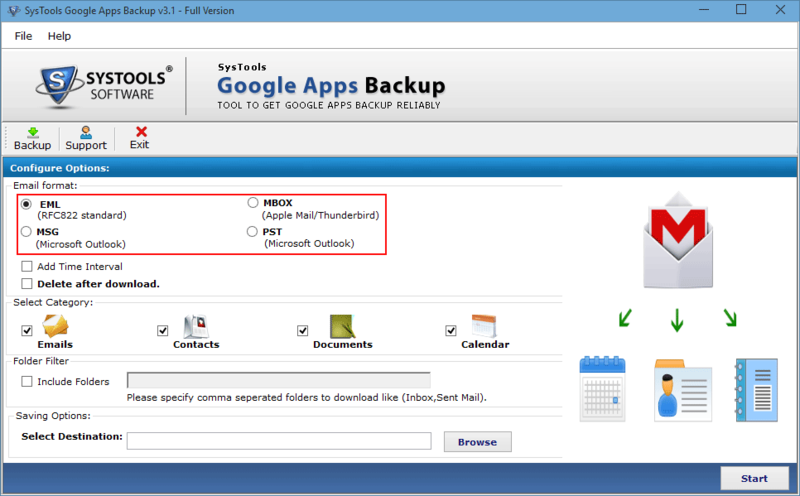 Is there any size limit to backup Google Apps Email? No, the G Suite Backup Software can archive any size data easily. Does the tool is accessible in Mac Operating system and execute archiving process? No, this utility has been designed for Windows platform. Therefore, cannot be access in Mac. In which file format the Google Apps Documents will be Backup? The G-Suite Backup Tool archives you all documents in their native file format. Can I backup the data of various email accounts of the single domain using this utility? Put in the log in details and click on Register. Now in further steps, choose category, click on Browse to save the resultant data, and finally hit on Start. Finally, once the process is complete the software also generates a completion report. "I was thinking to backup the G Suite data from a long period. However, I was very concerned about my data security. Fortunately, I came across Google Apps Backup tool. With this tool, I have backup g suite data easily. Moreover, the entire task is completed within some few clicks. It keeps the data safe and secure. Kudos! to the whole team for such a useful and creative tool." "I have a small business; therefore I have multiple accounts in one domain. I needed to take the backup of the data in PST format and I always think how do I backup my Google apps data? 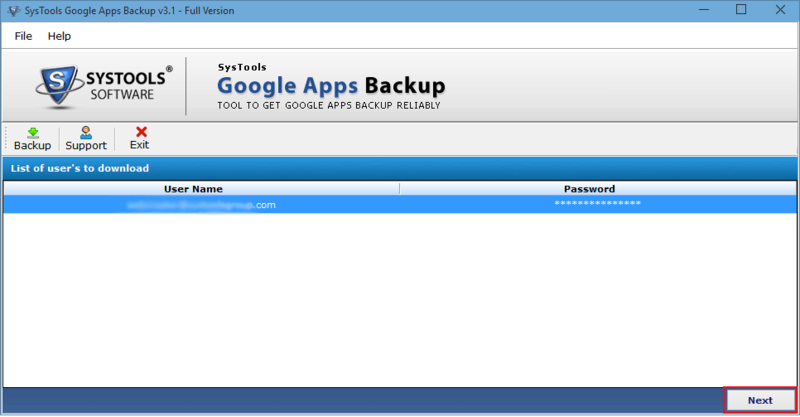 Then I have decided to choose SoftwarePro G Suite Backup tool to execute this task. The backup process became very simple with this software. I like the interface of the software very much and its different options that makes the backup process less complicated. ".